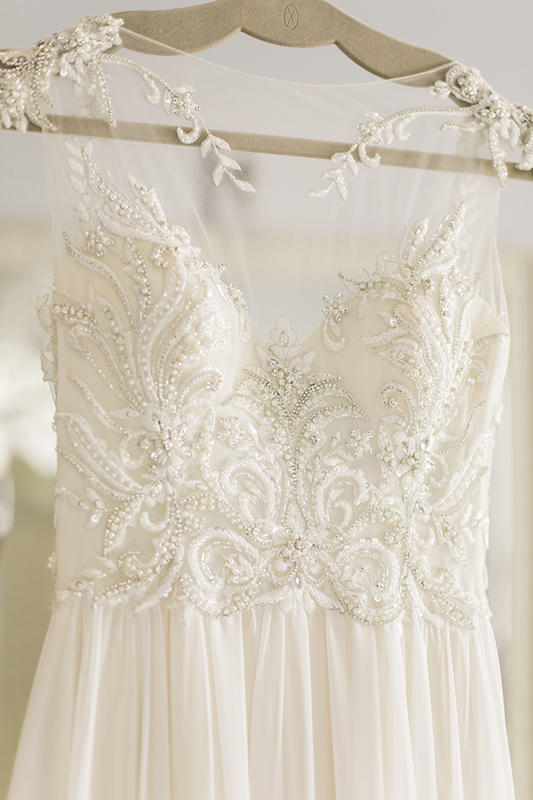 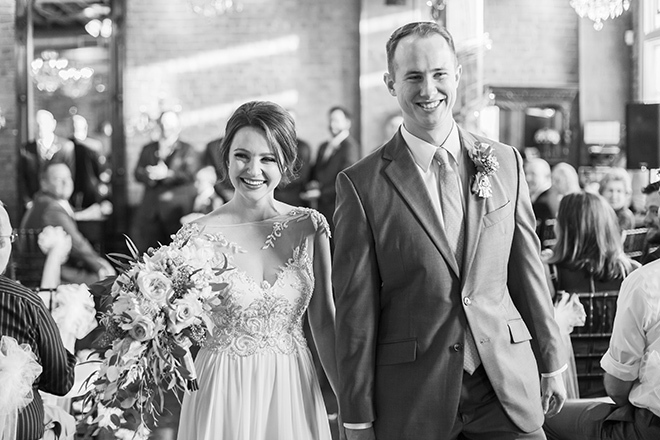 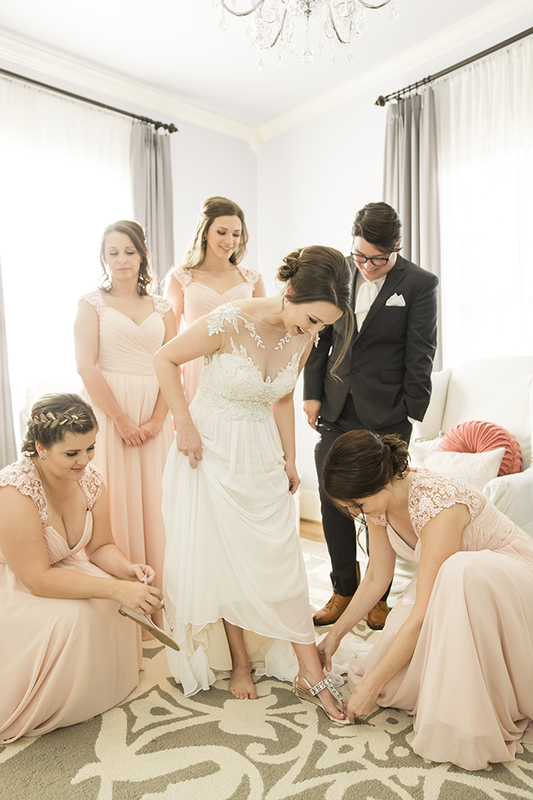 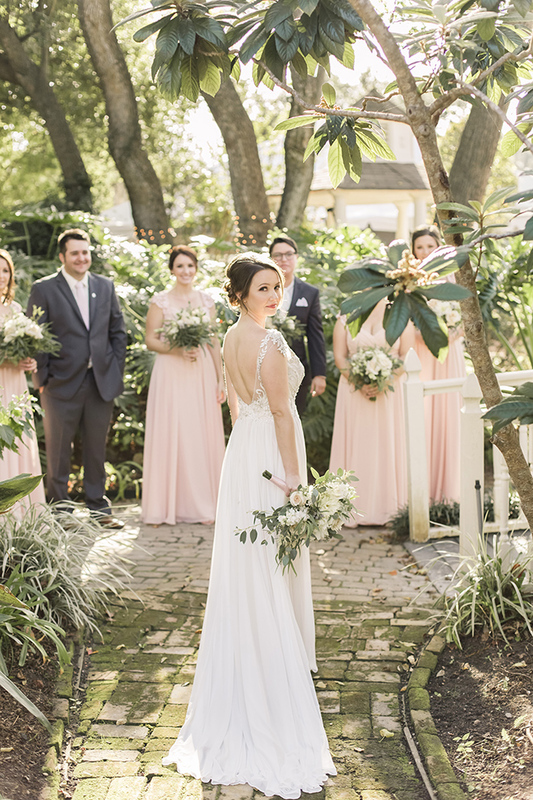 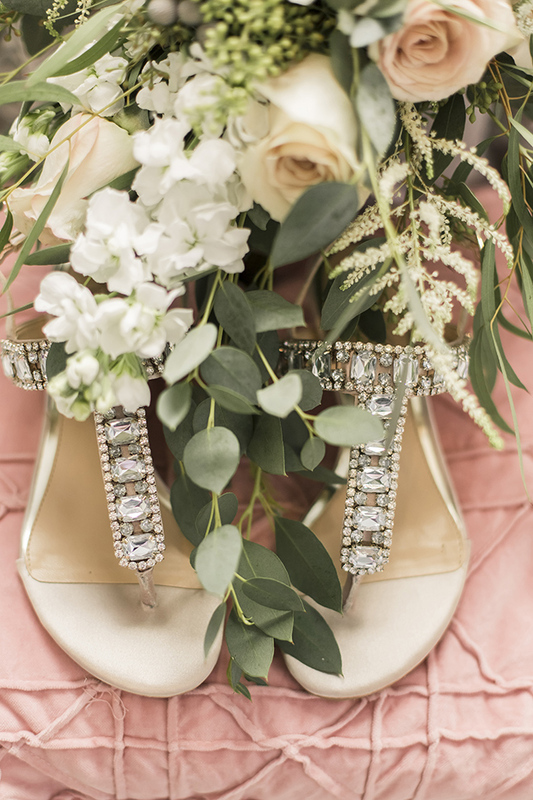 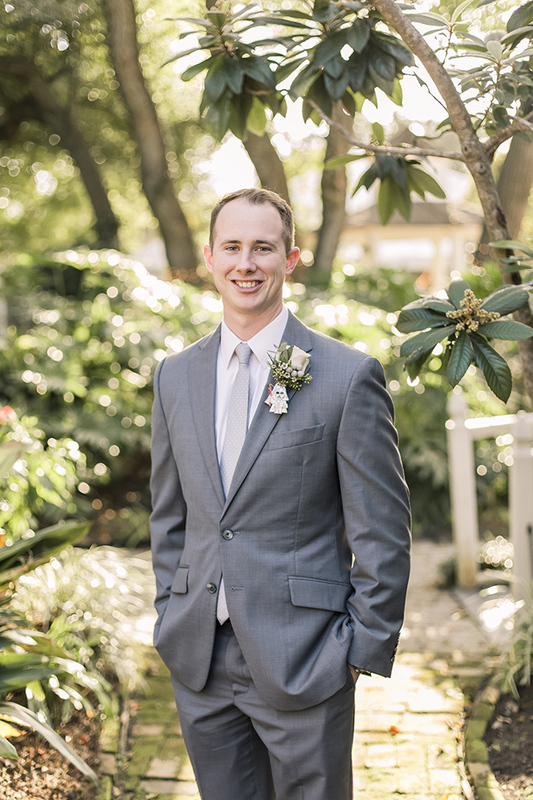 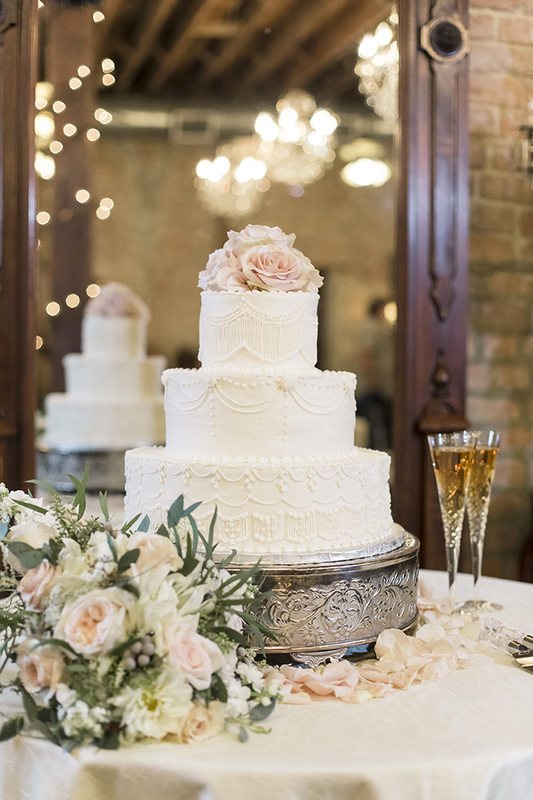 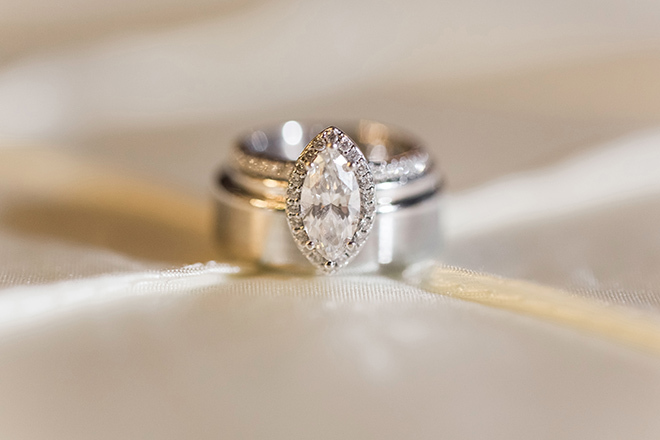 Jaclyn and Chris’ simple yet elegant vintage wedding is giving us all the feels. 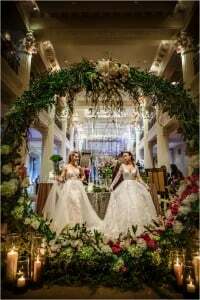 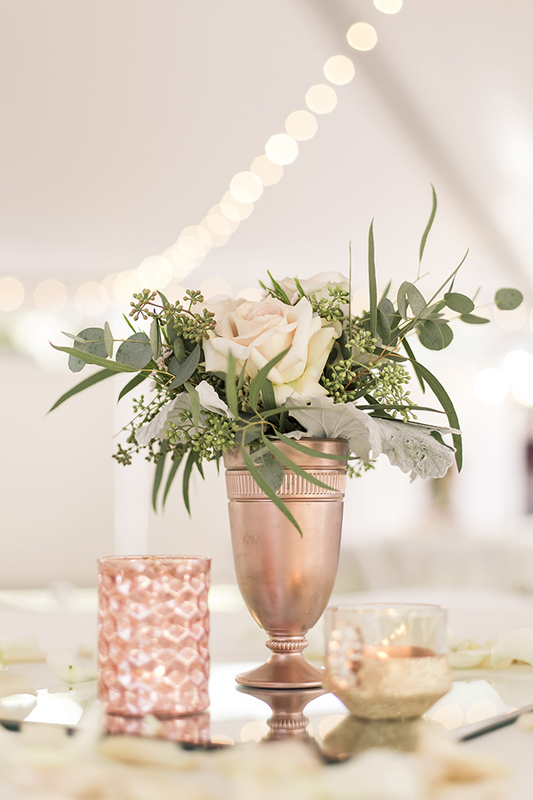 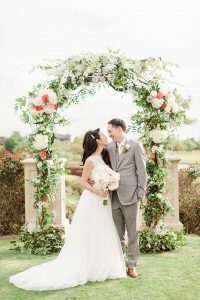 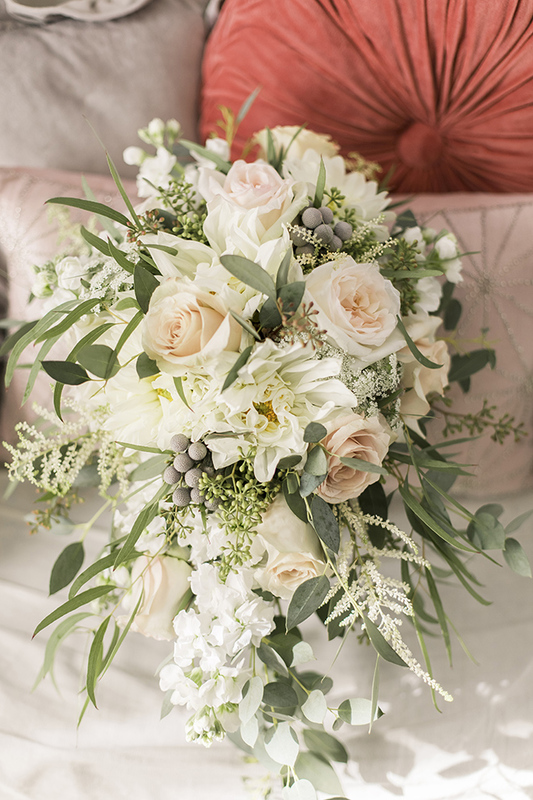 With divine blush and ivory florals from Haute Flowers & Events, rose-gold accents and tons of natural lighting, the pair gave an airy modern touch to their vintage wedding theme. 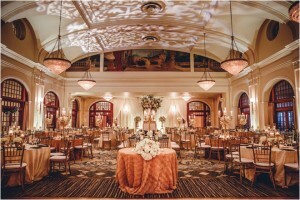 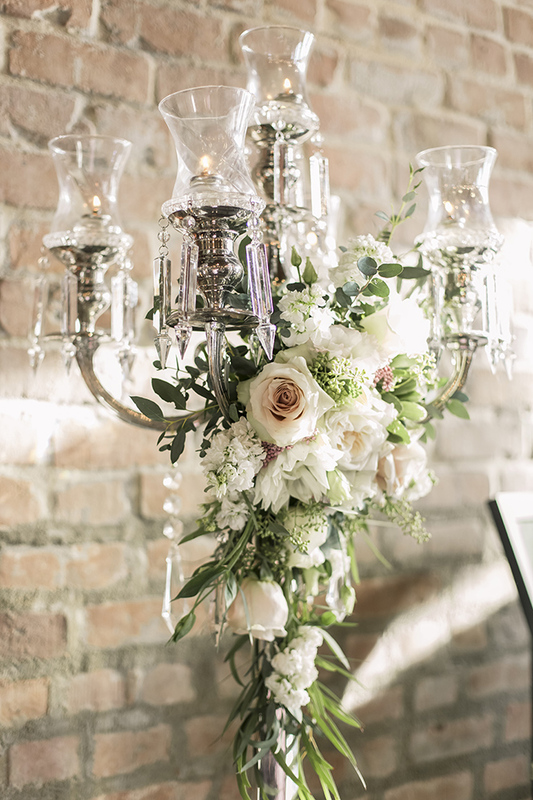 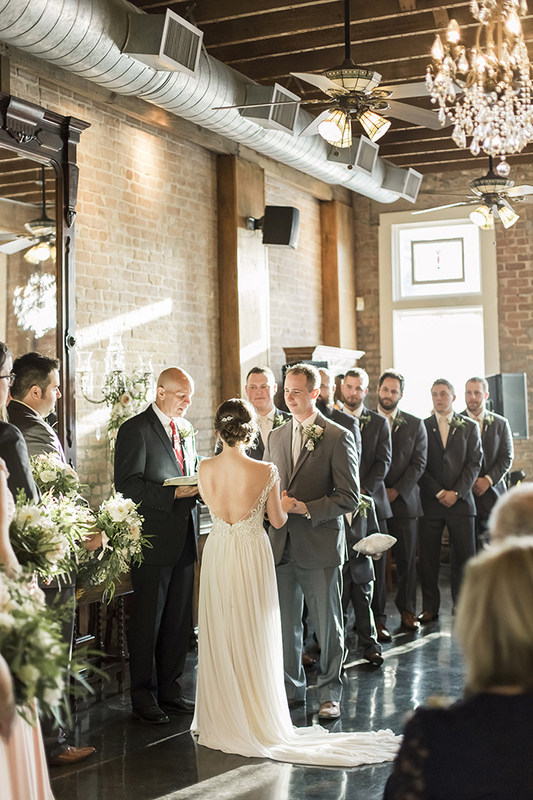 “The exposed brick, chandeliers and vintage mirrors on site were perfect for that antique vibe I was looking for,” say the bride. 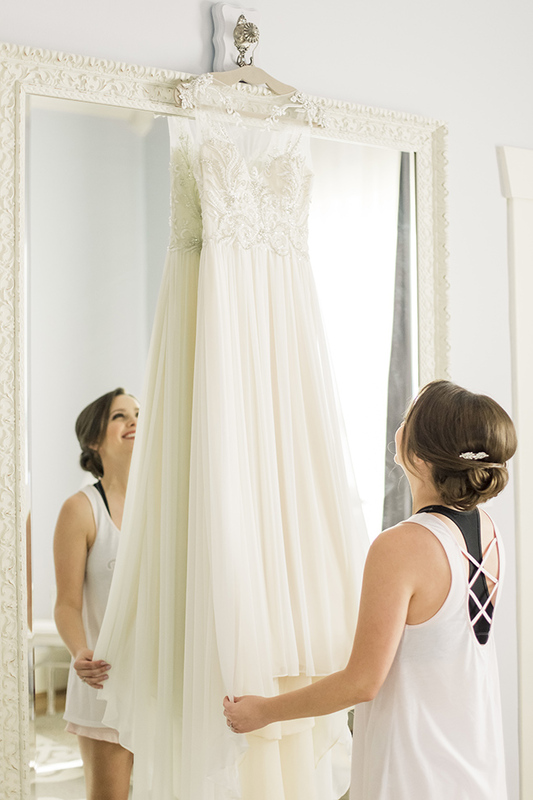 And Jaclyn absolutely glowed in her diaphanous Maggie Sottero gown. 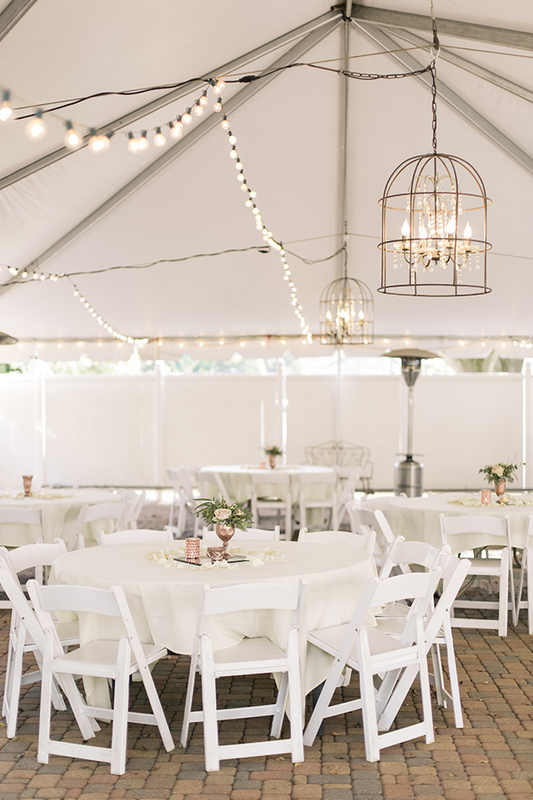 Following a sweet ceremony, 100 close friends and family joined the new Mr. and Mrs. for a charming tented garden reception. 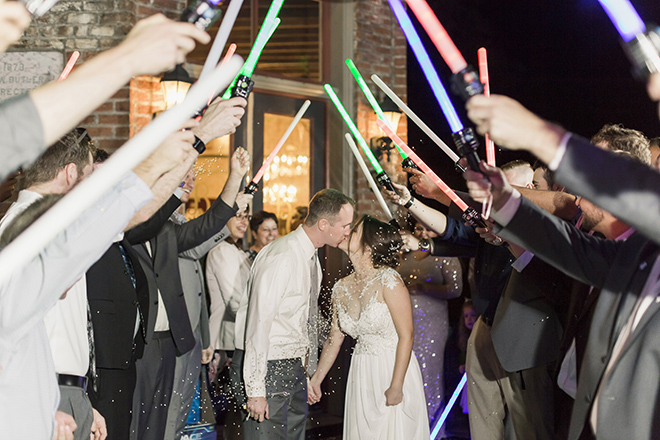 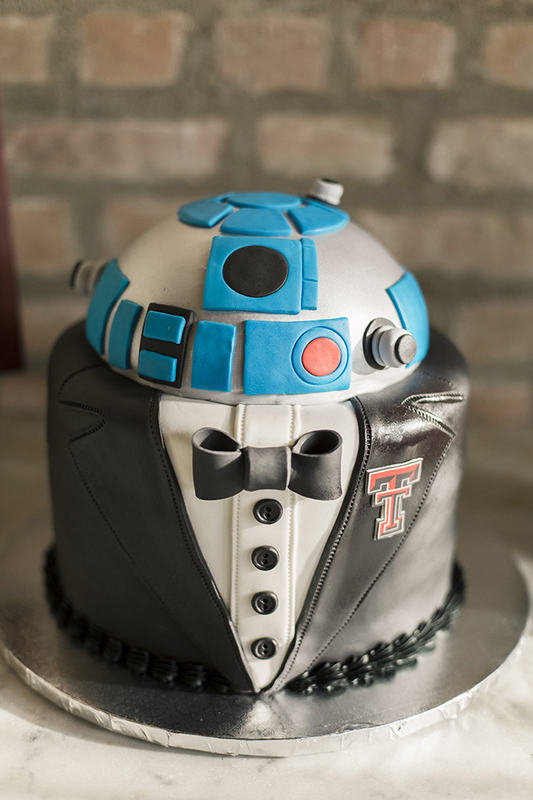 As a unique personal touch to end out the night, the couple took a Star Wars-inspired exit with a lightsaber salute from guests! 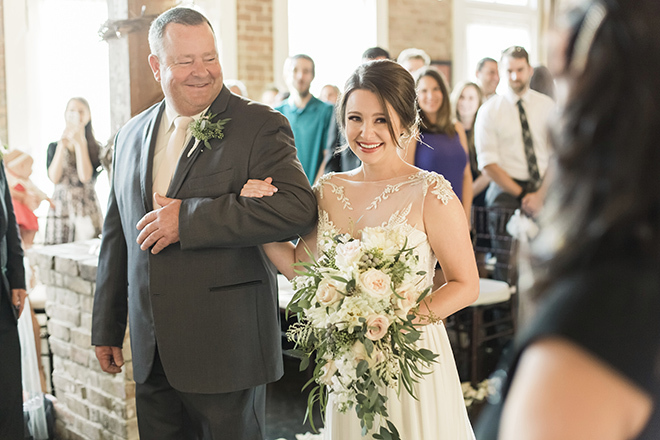 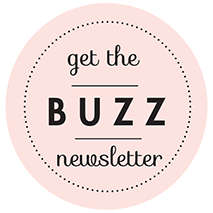 “Aside from all the sparkles, details and decor, marrying Chris was the absolute best moment of all.” Aww, a big congratulations to this lovely couple! 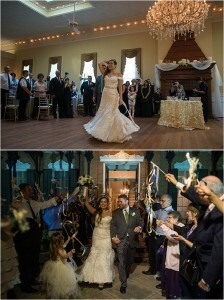 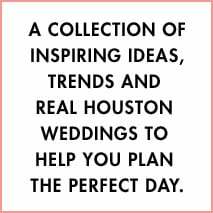 Ivory And Gold Styled Shoot By Events De LuxeBering’s $$$ Gift Basket Giveaway!